Burt Reynolds was set to play rancher George Spahn in Quentin Tarantino’s Once Upon A Time In Hollywood, but Reynolds was actually unable to film his scenes for the director’s Charles Manson-inspired movie before his death earlier this month. 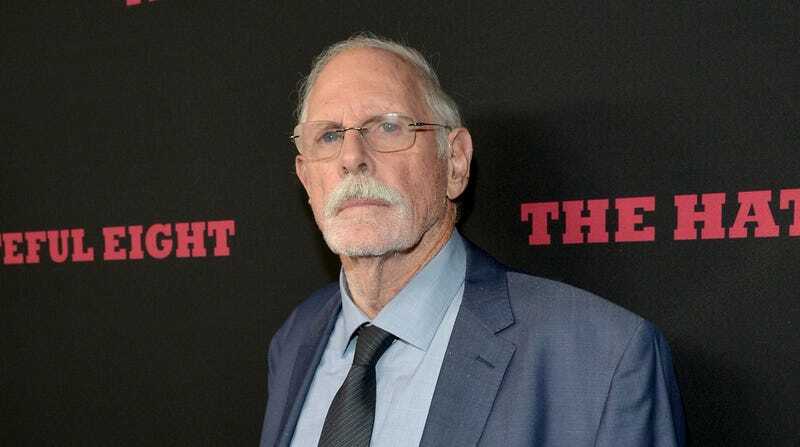 Now, according to Deadline, Reynolds will be replaced by his longtime friend Bruce Dern. As Spahn, Dern will now be playing an 80-year-old rancher who allowed Manson to live on his property in the lead-up to the murder of Sharon Tate, with Manson forcing women who followed him to sleep with Spahn in exchange. Dern previously appeared in Tarantino’s The Hateful Eight and Django Unchained. Once Upon A Time In Hollywood will feature a star-studded cast, including Leonardo DiCaprio, Brad Pitt, Margot Robbie, Al Pacino, Kurt Russell, Dakota Fanning, James Marsden, Timothy Olyphant, Lena Dunham, Damian Lewis, and Emile Hirsch (who once choked a woman at Sundance until she blacked out).